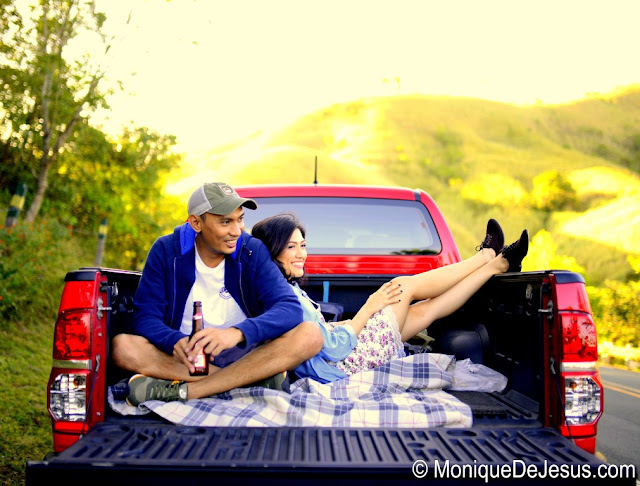 One sunny day in February, ten months away from our wedding, there we were driving, admiring Sierra Madre and posing for our pre-nup shoot. From the start we know what we wanted for our pre-nup shoot, we want it to be casual, fun and light. We want it to reflect us as a couple, and not some stiff actors or models the photographers want us to be. 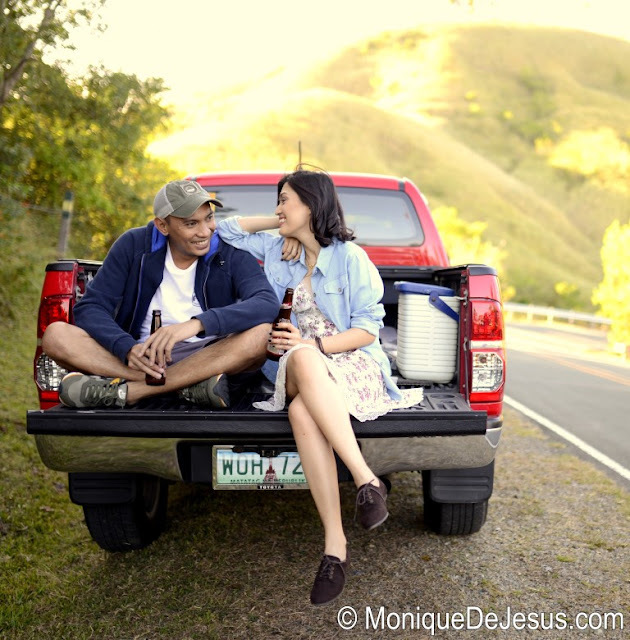 When we first met Liz Rañola of Imagine Nation, our wedding photographer, and told her about our concept for the pre-nup shoot, she was giddy and excited. It made us even more excited too. We did not have tons of cute props, we only had one red pick-up truck as our major prop, and a few bottle of beers and some books, that's it. We just want to show how we are as a couple and what we like to do. My fiance proposed to me out of town, and it was one of the most memorable road trips we've had. We love road trips, we love traveling together. We just want the photos to look as natural as possible. We did the shoot in February when the weather was just perfect, not too hot and not rainy either. The shoot location was in a high place so it was cool, and mother nature was our background. There's nothing more I can ask for. 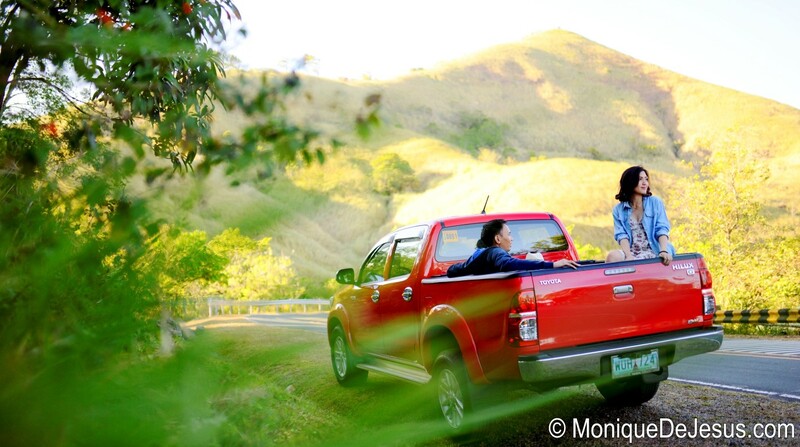 We did our shoot in Tanay, Rizal, overlooking Sierra Madre, and we did not pay for any venue fee. Some say it does not look like it is in Rizal. It looks somewhere farther. 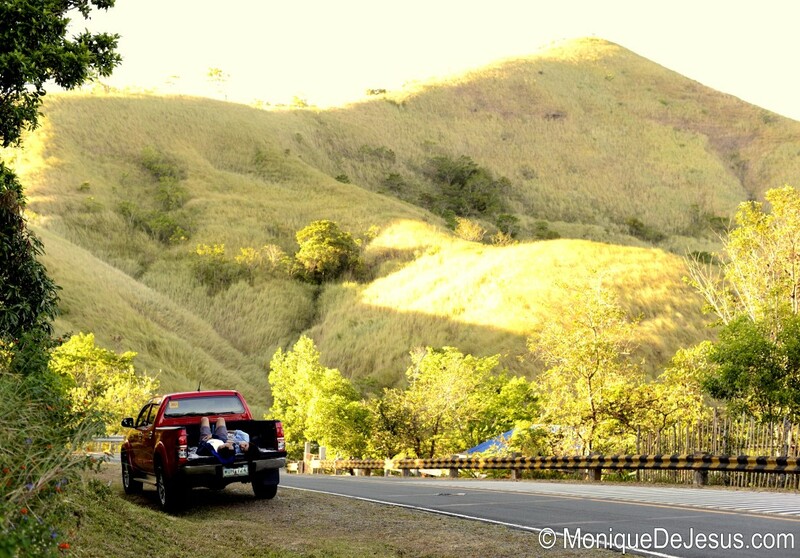 Liz even dubbed the spot we picked "Batanes" because of the hill behind it that resembles the hills in Batanes with soft grass that moves with the wind. There were no limitations whatsoever, we were so free. The challenge though was we did not have the comfort of an air-conditioned venue to re-touch or change or rest. It was hot when we started the shoot at around 3:00 PM. But the sunlight was just so pretty in photos, I can't complain. At night, we moved to this hotel parking spot in Antipolo overlooking the city which Macy, our second photographer, recommended. It was amazing. We did our preps at Imagine Nation Photography's studio in Quezon City, as we had to pick up the photographers there anyway. We have arrived at the studio for hair and make-up at 11AM (we were late, sorry, won't blame it to the terrible traffic, but yeah it was pretty terrible). Thanks to them for allowing us to use their studio for the preps with no extra fee. And then we've proceeded to the shoot location and looked for the perfect spot. We've arrived at around 3PM. Prior to the shoot, we went to the area for an ocular, thanks to Kikay and James for accompanying us. 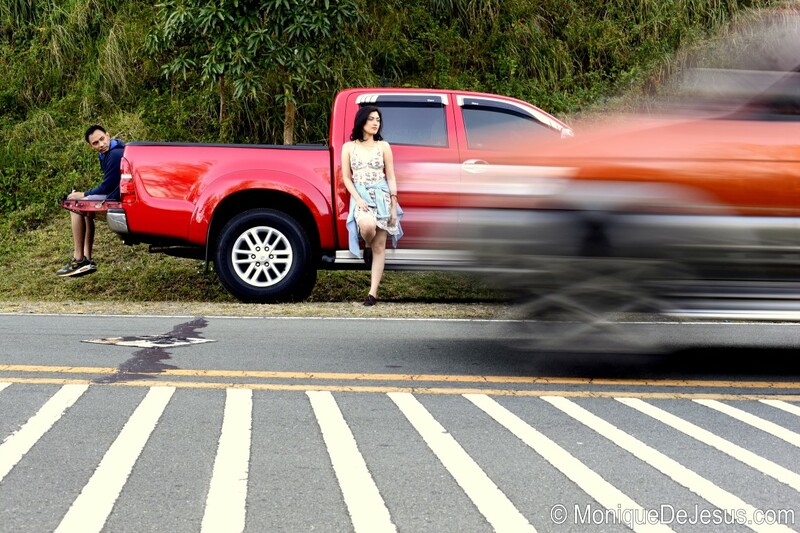 Thanks also to Yan's Tita and Tito for lending us the pick-up truck. We did not spend much on this shoot. We only spent on the photographer fee, food for all of us and gas. The photographer fee includes the main photographer and an assistant. The second photographer was a mere bonus. For the food, on the way to Rizal, we just passed by Mc Donald's Drive-thru for lunch. I also brought bottled water and some snacks for the photographers and assistant. After the shoot, which was already late, we had dinner at Johnny's The Fried of Marikina (it's definitely like Max's!). The hair and make-up I did not have to pay for. It was my free trial with Berny Tia, who be my HMUA on the wedding day. Thank you Ms. Berny for this! She was just so nice. We're really sorry for making you wait. We did not get any stylist, we bought our own clothes. Who says you need to spend so much to get good pre-nup photos? Hi Monique! 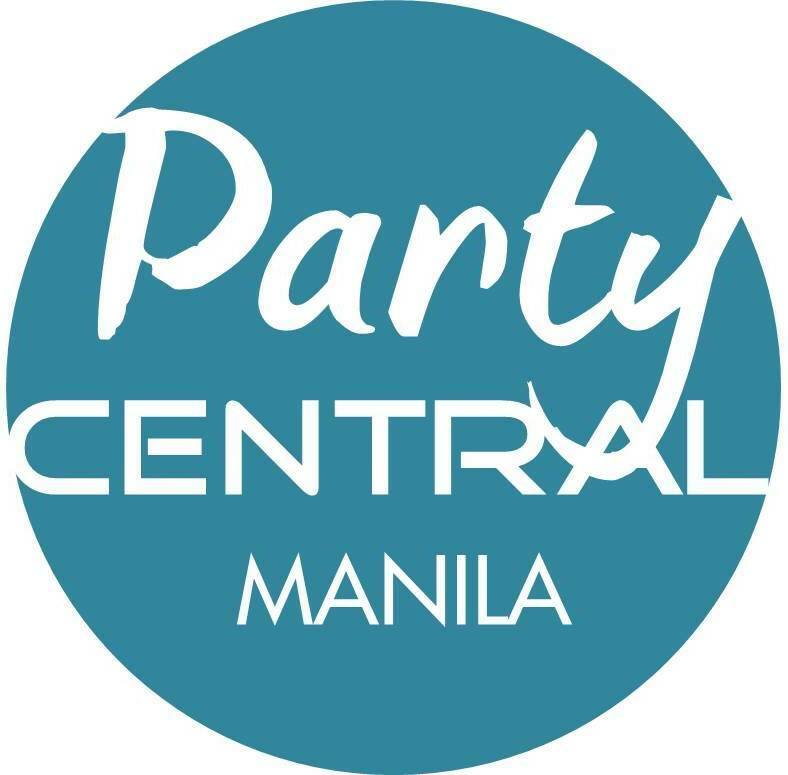 Anu ba, ngayon ko lang to nakita!!! haha! Thanks for blogging this, I love it! Our shoot was one of my faves! See you soon! Love the theme of your shoot! May I ask where in Tanay was your shoot? Do you happen to know the road or if there's any landmarks we may pass by? hi!can I ask kung san yung location ng prenup niyo? I really loved it! 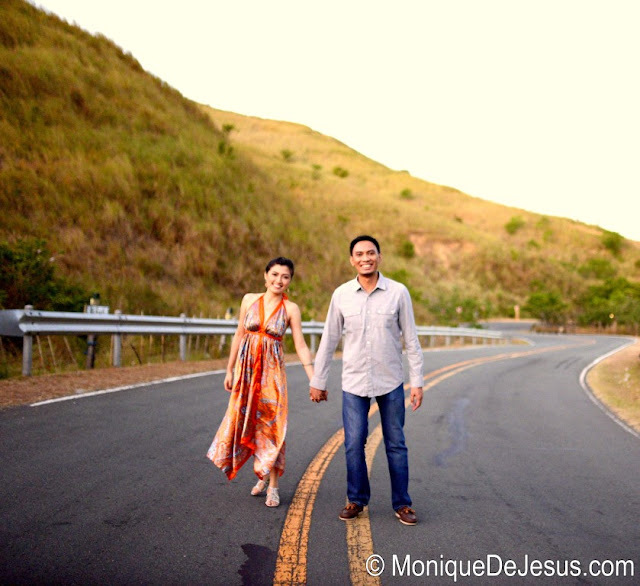 We're planning to have our prenup din kasi sa Rizal. Super thanks! Hi! 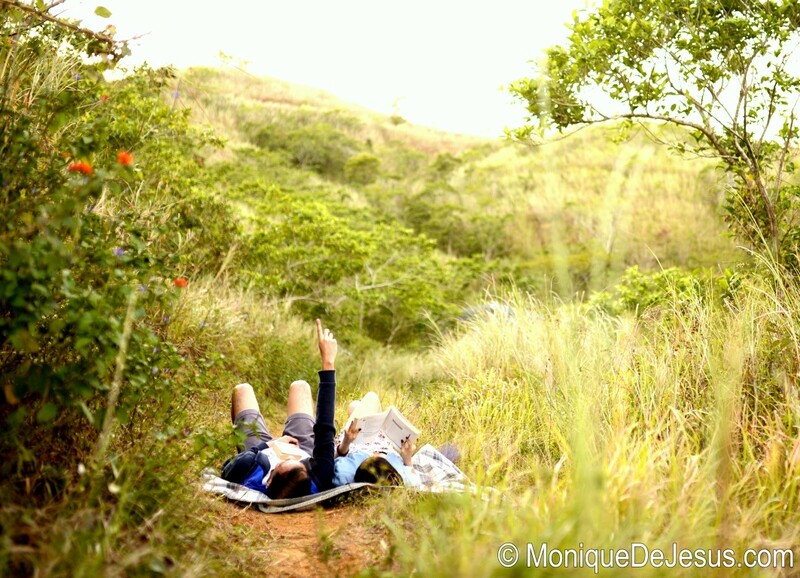 I would like to inquire where in tanay is your pre-nup shoot? it really looks great! Hello guys! For those asking where the exact location if the shoot was, we actually just drove up to check any possible spots. I am sure there are spots that should be good for a shoot as well. It's the road in Tanay, Rizal where bikers ride.